In a state whose tourism motto is "Virginia is for lovers," finding a romantic place to stay is easy. Wintergreen, Virginia, about half an hour from Charlotteville, has skiing, golf and hiking in the Blue Ridge Mountains. The Wintergreen Resort, with the Wintergarden Spa, offers luxurious accommodations, but if you want to stay in a remote cabin, you can find one easily. The Blue Ridge Mountains of Virginia offer spectacular scenery and seclusion. Step back in time with a log cabin rental at Smith Mountain. A lakefront cabin has a king size bed and stone fireplaces, but it also includes modern amenities, such as a hot tub and cable television. You have your own fishing pier and a canoe for romantic paddles on the lake. Eat breakfast on the screened porch and cook outdoors with a gas grill. The even more remote Cabins At Crabtree Falls, 20 miles from Wintergreen, offer a secluded mountain retreat for honeymooners or couples looking to get away from civilization. 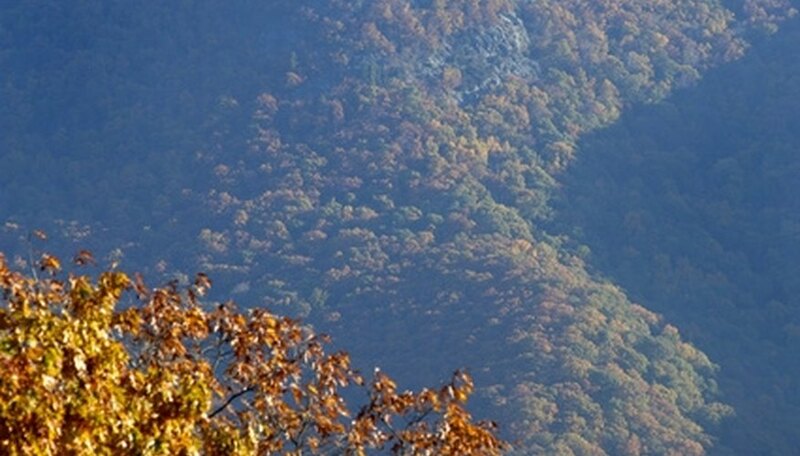 The area features the largest waterfall east of the Mississippi, and wooded trails and access to the Blue Ridge Mountains. Rent a cabin with a wood-burning stone fireplace and sit on the mountain-view porch with a book, hike the Appalachian trail, canoe, kayak or mountain bike. Since grocery stores and restaurants are a drive, bring whatever you need. Cabin Creekwood offers small one bedroom cabins for cozy couples. Heat the cabin with a wood stove, but cook in the full kitchen or use the grill. One log cabin dates from the Civil War. Take a canoe or kayak out on the water, hike in the woods or go down the road to the Wintergreen ski resort. Antell, Judy. "Romantic Cabins Near Wintergreen, VA." Dating Tips - Match.com, https://datingtips.match.com/romantic-cabins-near-wintergreen-va-7671305.html. Accessed 19 April 2019.